It turns out that this role is meant to promote climate change, not curtail it. Apparently, an artist created some artwork that was not in favor of climate change. So, the government first approved funding for a showing of her art, and then as revealed through a freedom of information request, canned it for political reasons. As mentioned on Franke's blog post Banned on the Hill... go give it a read it's a great story. Here's a later follow up post Banned on the Hill Opening in Ottawa as well. I discovered this issue here. Who knew? 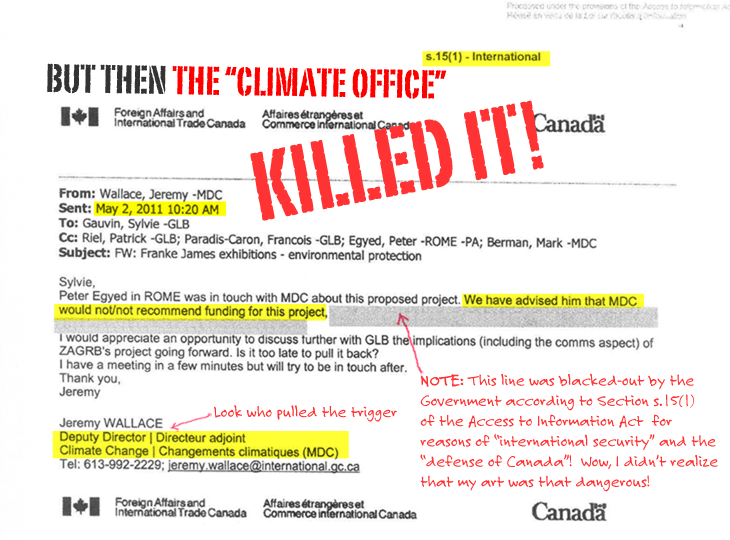 Only the Harper government would have an department of climate change with people in office meant to defend it! 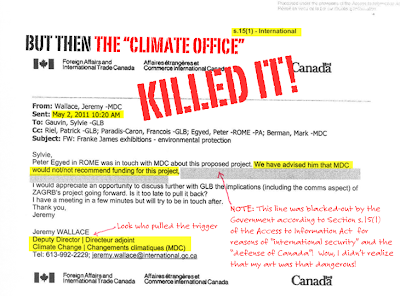 This one goes down in the Harper government hall of shame.